This loaded V12 Roadster was carefully driven by its' single owner and maintained exclusively at Aston Martin service. The new owner will receive this car with a fresh service just having been done as well as new tires. Feel how the 5.9L hand built V12 pulls you to redline using the 7 speed Sport Shift transmission making use of all 565 horsepower! Carbon ceramic brakes handle the speed scrubbing duties and legendary Aston Martin styling provides timeless looks. Factory options include: Bang & Olufsen BeoSound Audio system, Grey painted brake calipers, Headrest embroidered with Aston Martin wings, First aid kit, leather ECU pouch, heated front seats, Second glass key, Carbon interior pack (V12 Vantage) Black B&O Speaker grills, 19" 10 spoke Gloss black DT wheels. 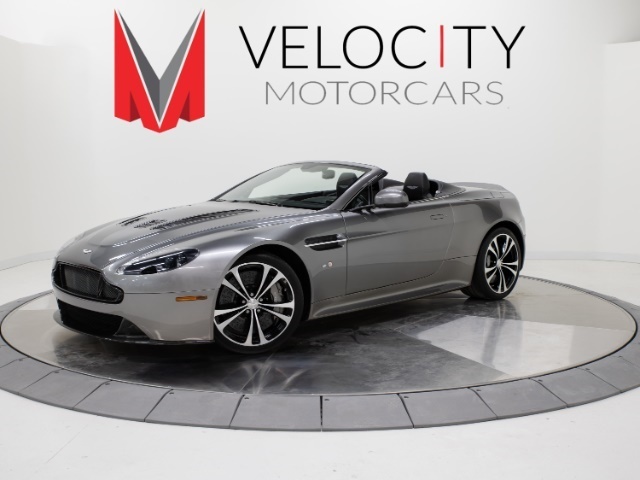 Live the life of sport and luxury combined as this V12 Aston Martin Vantage S Roadster delivers! 5.9L V12 565hp 457ft. lbs.